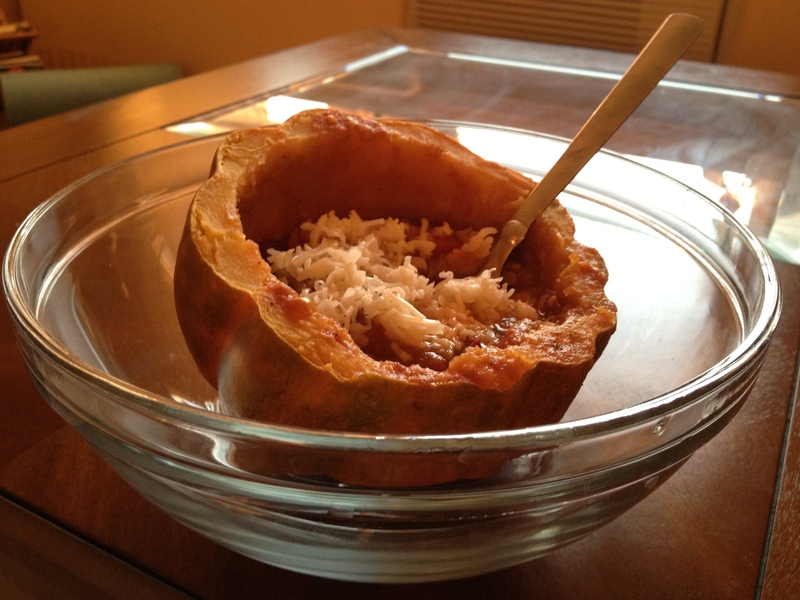 acorn squash bowl, food bowl, how to bake acorn squash, what can you stuff an acorn squash half with? 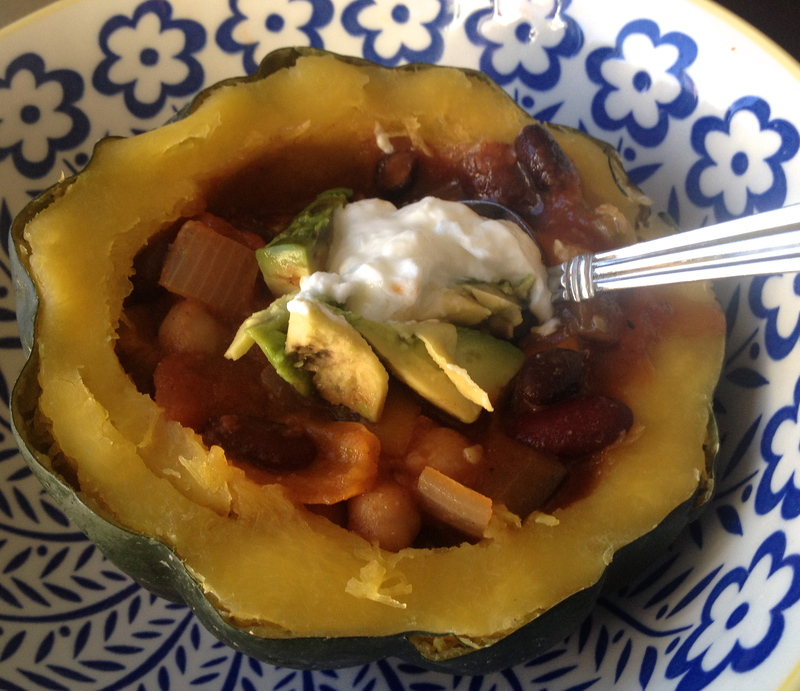 Last year I decided to use an acorn squash as a bowl for my vegetable chili…which soon became my favorite chili bowl ever! 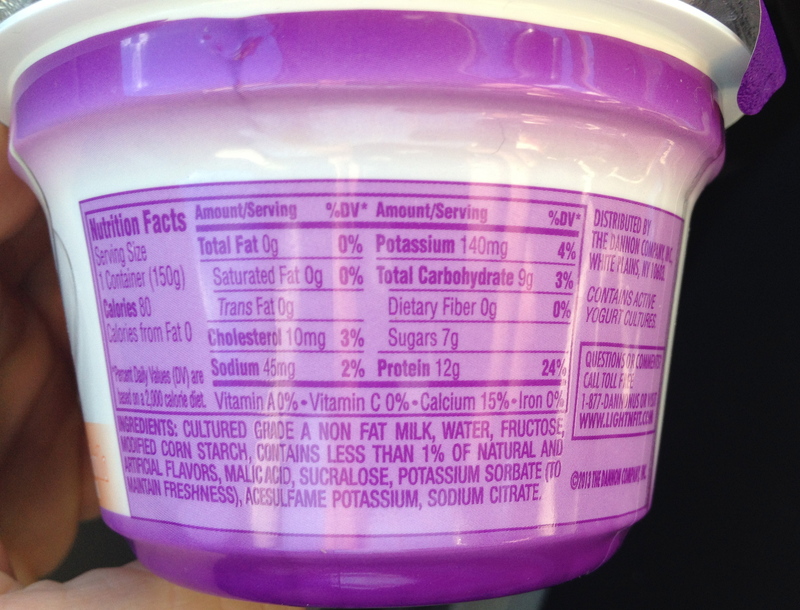 With every scoop of spicy chili, I got a scoop of sweet acorn squash! 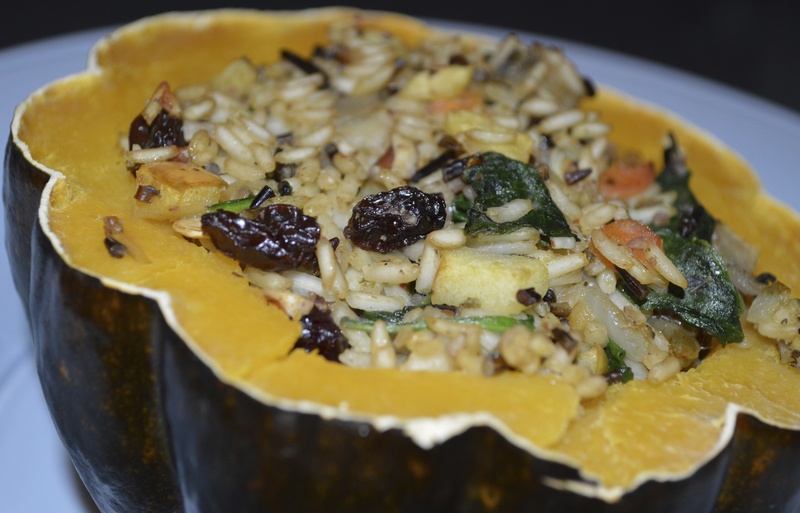 Over the past year, I decided to fill my acorn squash bowl with different foods besides chili, such as baked oatmeal, broccoli quiche, and rice pilaf! Pre-heat oven to 350 F. Cut the acorn squash in half and scoop out the seeds. In a baking pan, place the acorn squash halves with the flesh facing down and add 1/4 inch of water in the pan. Bake for 45-60 minutes. In a microwave safe bowl, place 1 acorn squash half, with its flesh facing down, in the bowl and add 1/4 inch of water to the bowl. Microwave your acorn squash for 10-15 minutes until all the flesh is soft enough for a spoon to scoop easily. Heart Healthy Baked Oatmeal: Pre-heat oven to 400 degrees. In a small bowl, mix 1/3 cup of rolled oats (or instant oats), 1/3 cup of unsweetened almond milk, 1 Tablespoon of ground flaxseed, 1 tsp of chi seeds, 1 Tablespoon of pure maple syrup or molasses, 1/2 of a chopped apple or pear, 1 tsp of cinnamon. 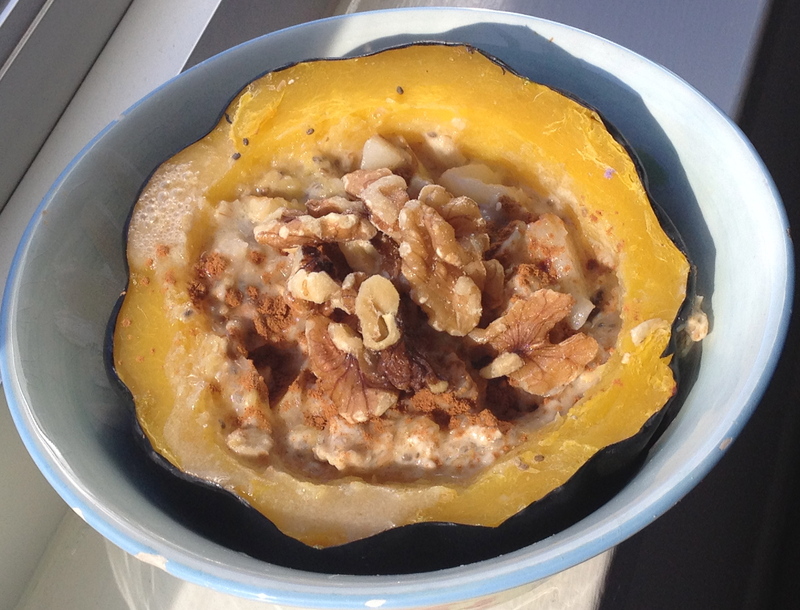 Place oatmeal mixture into an already baked acorn squash bowl. Bake for 30-45 minutes until liquid is absorbed! Sprinkle with 1-2 Tablespoons of walnuts! Broccoli Quiche aka Broccoli Squeesh: Pre-heat oven to 350 degrees. In a small bowl, mix 1/2 cup of chopped broccoli, 1/8 chopped yellow onion, 2 egg white, 1/4 cup of skim milk, 1 minced garlic clove, 1/4 tsp of black pepper, 1/4 tsp of oregano, 1 Tablespoon of grated asiago/parmesan cheese. Pour mixture into the already baked acorn squash bowl and bake quiche for 45 minutes until there is no more liquid in the quiche. 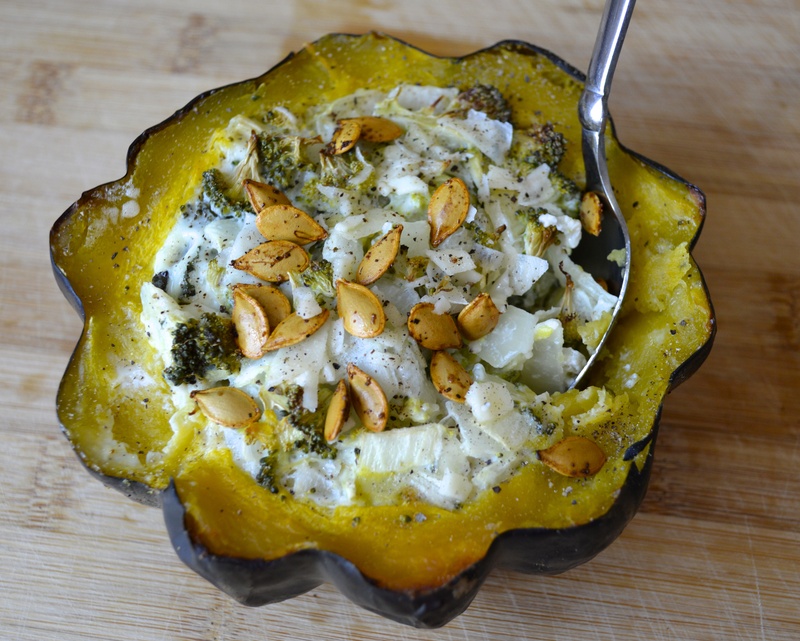 Grab a spoon and scoop into your acorn squash broccoli quiche! 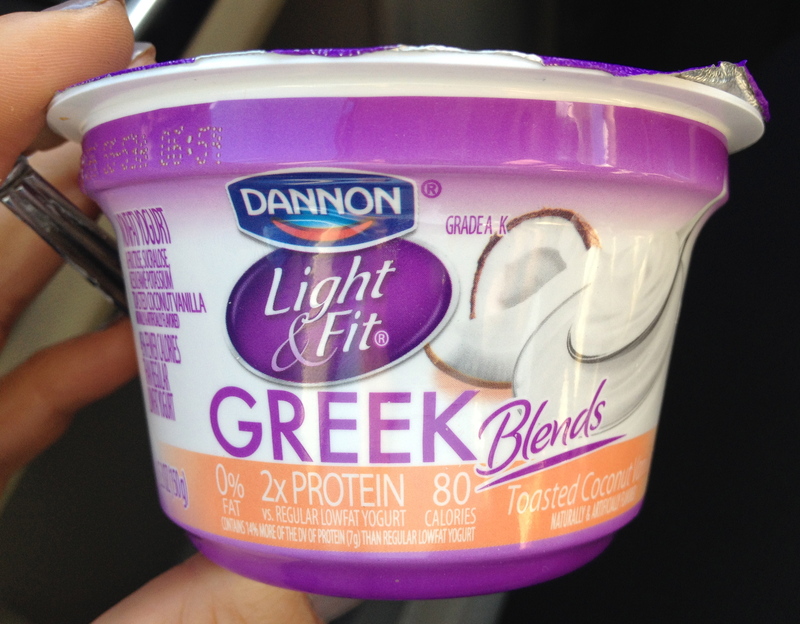 Have you used other vegetables or fruits as bowls or cups? I doubt you have not noticed the many varieties of the oddly shaped winter squash in the grocery stores lately, as they are placed right in the front of the store and stick out amongst the other usual produce! Winter squash is eaten cooked (steamed, baked, or roasted), and can be prepared to be a sweet or savory dish. With winter squash’s high vitamin C, vitamin A, and dietary fiber content, you will want not want to incorporate these seasonal vegetables in your meals over the fall and winter months. Of all the winter squash varieties, butternut squash is ranked #1 on my list of fall seasonal ingredients! In September, I already roasted butternut squash a few times, made butternut squash soup, and incorporating butternut squash in darky leafy green and whole grain salads. Last year, I made butternut squash soup with roasted apples and kale, but this year I thought I would give the juicy sweet pear a shot. You will want to bookmark this recipe, as it contains minimal ingredients with an easy preparation and cooking process, and of course results in the perfect slightly sweet and creamy butternut squash soup! Smooth like butta! Pre-heat oven to 350 F. Line a baking sheet with aluminum foil. In a large bowl, add all the Roasted Mixture ingredients and mix well to spread the olive oil over the entire mixture. 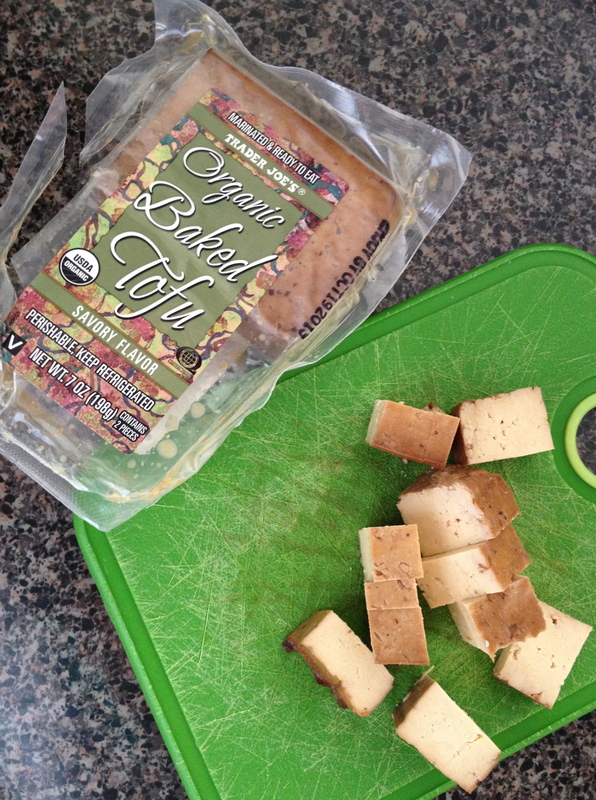 Place Roasted Mixture onto the baking sheeting and bake for 45 minutes. In a small saucepan, add the Sautéed Mixture ingredients and cook the shallots on medium until soft and translucent for about 10 minutes. In a blender, add the Roasted Mixture, Sautéed Mixture, and vegetable broth. Blend until smooth puree aka butternut squash pear soup! 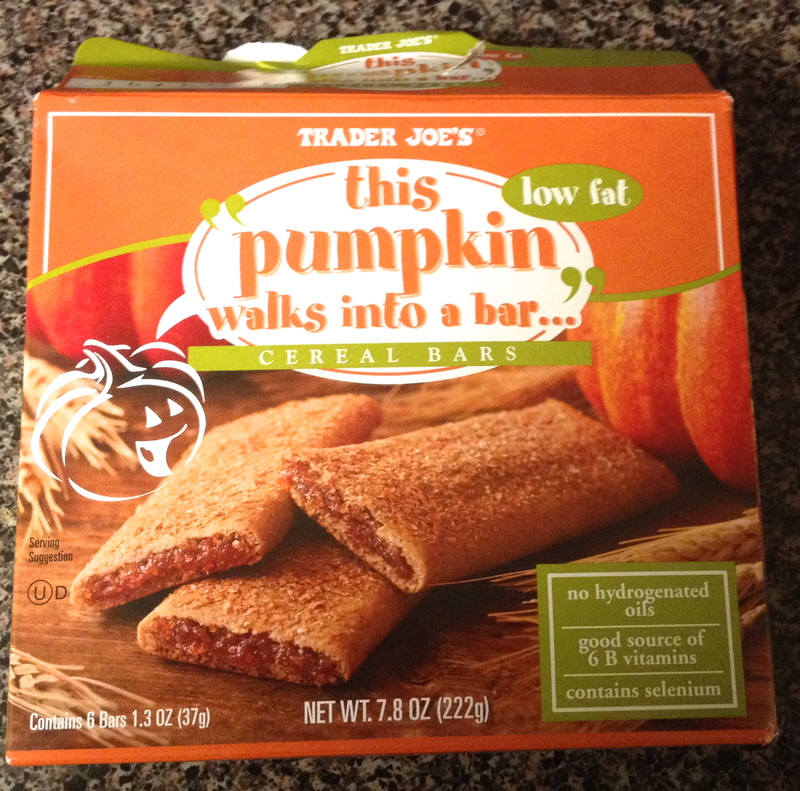 Optional: sprinkle your individual serving with cinnamon or pumpkin spice! If you want to add PROTEIN to your soup, add 1-15 oz can of cannellini beans!